Bad habits: we might not like to admit it, but we all have them. Whether it’s biting our nails, eating too much chocolate or spending our work hours browsing social media, each and every one of us has a vice. Of course some, like smoking, are more harmful than others. Nowadays, we’re all familiar with the dangers of smoking tobacco, but it wasn’t always this way. In fact, attitudes towards smoking have only really shifted in the last century – before that, it was a very different story. It’s thought that humans have been smoking tobacco for several thousand years. Mayan carvings have been found in Mexico which date back to around 900 AD and depict the use of tobacco. Growing naturally in the Americas, tobacco was ‘discovered’ by migrants when they began colonising these islands in the 15th and 16th centuries. At this time, tobacco would have been chewed, rolled into a hand-made cigarette or cigar, or smoked in a pipe. It wasn’t until the late 1800s that the modern pre-rolled and boxed cigarette emerged, when the world’s first cigarette-making machines were developed. 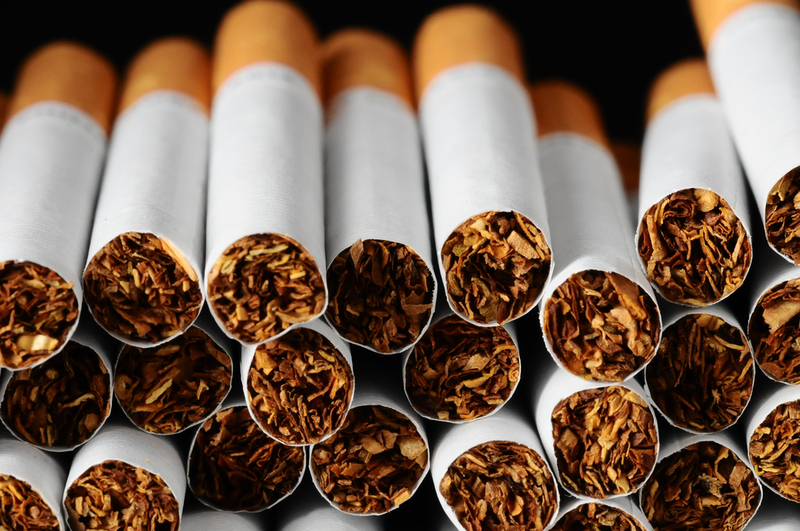 This paved the way for cheap mass production, which in turn led to a huge increase in the number of smokers worldwide. The end of the 19th century and first half of the 20th century marked a period in which smoking – no longer considered a luxury but an everyday essential – exploded in popularity. Mass production played a huge role in this, but other factors included a new push in the advertising of cigarettes, and the growing power of the tobacco industry in politics and the media. Perhaps most significant, though, were the World Wars, during which cigarettes were supplied to Allied troops in order to boost morale. The production of cigarettes increased worldwide, and advertising began to target women for the first time. The first medical reports stating the dangers of smoking emerged in the 1920s, but it wasn’t until the post-war period that these warnings began to be taken seriously. In the 60s, 70s and 80s, new legislation was brought in to ensure that all cigarettes were labelled with a health warning. Governments across the world also started to come down hard on the advertising of tobacco – which is why we no longer see anything like those retro, Mad Men-era cigarette posters. The true war on smoking began in earnest at the turn of the 21st century, when countries around the world brought in a ban on smoking in public places such as restaurants and pubs. As smoking became more anti-social, the price of cigarettes also increased hugely; this report from the NHS states that tobacco was 27% less affordable in 2015 than it was in 2005. In the past thirty years, an increase in warnings on cigarette packs and smoking bans in public places has had the effect of seriously damaging smoking’s ‘street cred.’ In fact, between 1974 and 2014, the number of smokers in Great Britain declined from 46% to 19%. Average consumption of cigarettes has also decreased from 16 a day to 11. Of course, it’s not all good news; people around the world continue to consume tobacco, and in 2014, 78,000 Brits died from smoking-related illnesses. If you’re a smoker considering quitting, read on to find out about the many benefits of stopping smoking, and how you can make the experience easier. In the long term, quitting smoking can bring down your risk of serious smoking-related diseases like heart disease and lung cancer. .
Of course, quitting smoking isn’t a walk in the park. Because of the addictive nature of tobacco, you can expect to experience some nicotine withdrawal symptoms; the good news is, there are many ways to deal with these. Nicotine replacement therapy is over-the-counter medication containing a small amount of nicotine that is taken in place of smoking. The nicotine in the NRT helps you deal with cravings and withdrawal symptoms after you have quit. Treatment usually lasts for eight to 12 weeks, after which point you should reduce your dose or stop using nicotine altogether. NRT comes in many different forms, including skin patches, chewing gum, tablets and sprays. Varenicline or Champix is a type of prescription tablet that is taken over 12 weeks to help you quit smoking. It works by breaking down your addiction to nicotine, and reducing nicotine withdrawal symptoms and cravings. To use Champix, you will need to visit a doctor or order it through an online prescription service such as LloydsPharmacy Online Doctor. Learn more at our Stop Smoking Clinic. Bupropion is another tablet that can help break down nicotine addiction. Like Champix, it is also only available with a prescription. E-cigarettes have become incredibly popular over the past few years, and although it is not completely clear what kind of long-term effects “vaping” can have on your health, the NHS still recommends it as an alternative to smoking. E-cigarettes are filled with liquid containing nicotine and flavourings. They allow you to keep using nicotine without consuming the other harmful chemicals contained in tobacco, as with NRT. Along with these kinds of stop smoking treatments you can also get a lot of support from the NHS, through free public services like Smokefree. For more infomation on the negative effects of smoking, and why it’s so hard to quit read our effects of smoking or difficulty in quitting smoking articles. The story of the morning after pillWhat causes cold sores?